“Know nothing” means something and is somnehow interrelated with Manifest Destiny. 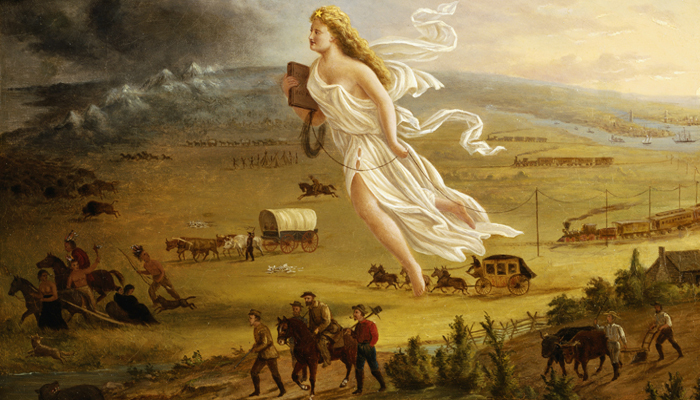 The later term, Manifest Destiny was and is the belief of the American ruling class that the United States had and have a divinely inspired mission to expand, progress and spread its ideals of democracy and freedom. Originally this phrase was restricted in the 19th century to the American West, later extended to a world wide mission. Sadly, in connection with “Know nothing1” it reminds me to a German form of this political Catch phrase: Lebensraum im Osten. This entry was posted in English, History by Bo. Bookmark the permalink.